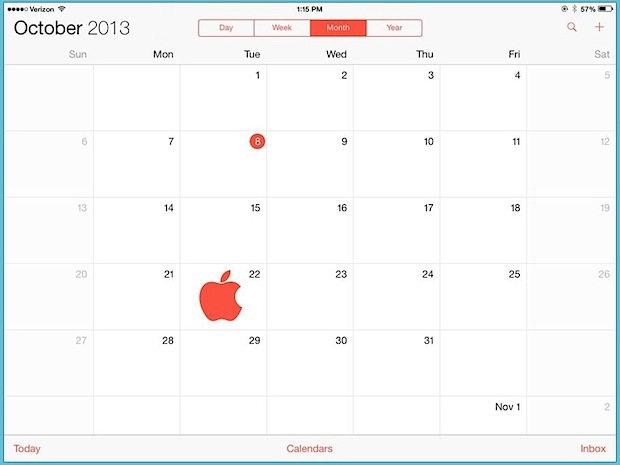 Apple will unveil new iPad models on Tuesday, October 22, according to a report from the well-connected AllThingsD. Though a new iPad 5 and iPad Mini will be the star attractions of the event, Apple will also spend some time discussing the hotly anticipated new Mac Pro, and OS X Mavericks, suggesting those products release dates are also imminent. According to the report, the upcoming iPad 5 is expected to be lighter and thinner, with an improved camera, and run the 64-bit A7 CPU that debuted in the iPhone 5S. The iPad Mini 2 will reportedly feature a retina display, and also receive the A7 CPU. AllThingsD says it’s not clear if the TouchID sensor will come to the iPad line-up yet, but suggests it is a possibility. The new Mac Pro is a significant overhaul aimed at the professional market. OS X Mavericks features over 200 new additions and enhancements to the Mac operating system. AllThingsD does not indicate release dates for any of the product launches, but Apple usually releases products soon after such events. Officially, Apple has only said that OS X Mavericks and the Mac Pro would arrive sometime in the fall.